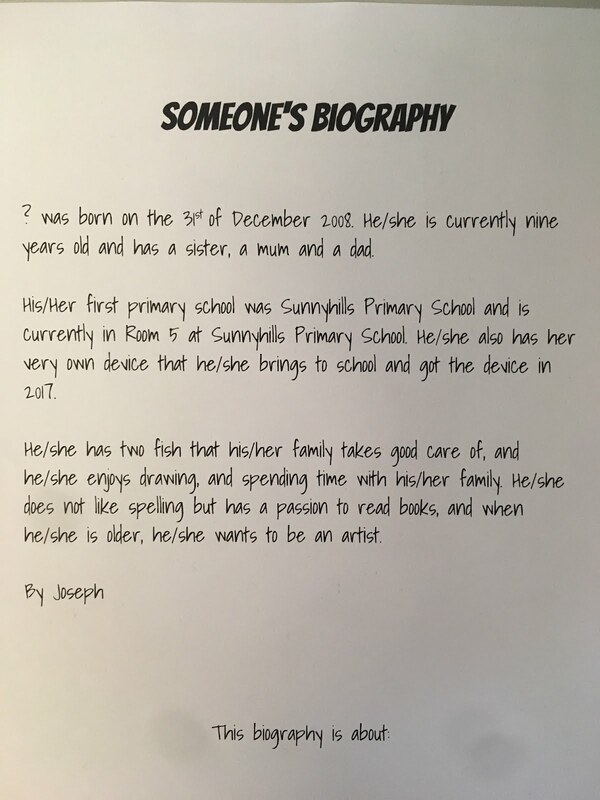 This week Room 5 students have been learning how to write biographies. A biography is when you write about somebody else's life. Each student in Room 5 interviewed a classmate about their life and then wrote a biography about that person. 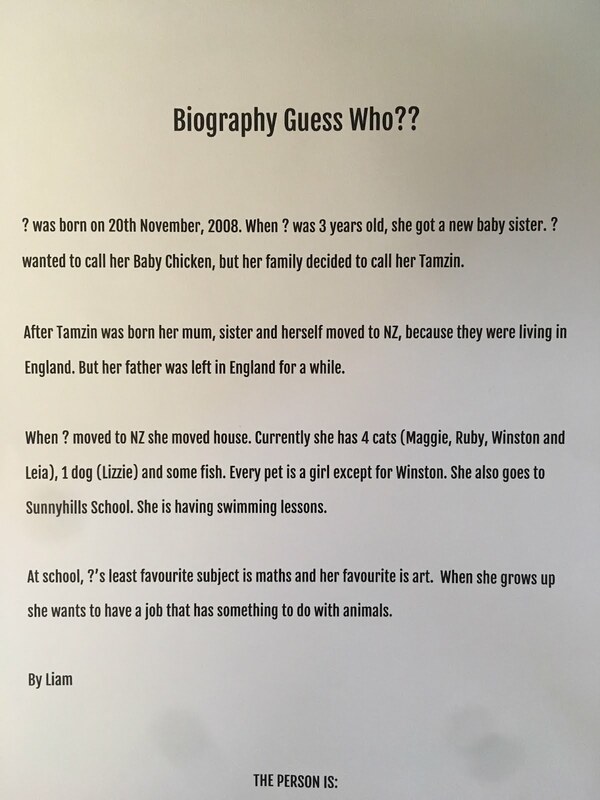 We decided to delete their names so that you would have to try and guess who the biography is about. Here are a couple of finished ones. Mmmm Joe I think I know who you are talking about - she is a very talented artist and draws with such detail - is it Tiffany? These are tricky to guess Room 5! 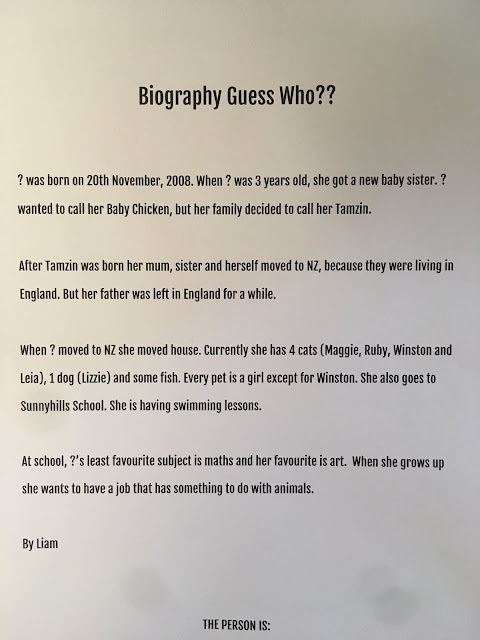 Great way to put a twist on a biography.